Hope you're having a wonderful day or night! Another month has passed by and I hope it was a great one! 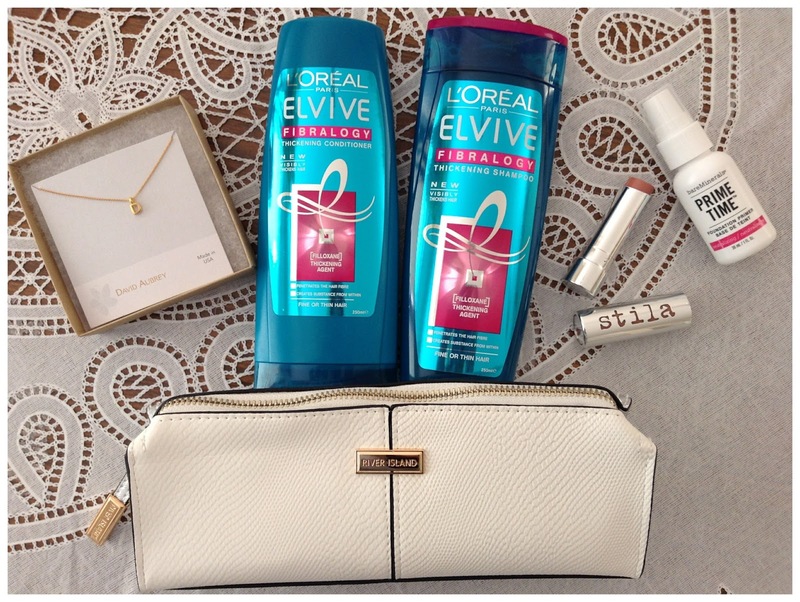 Here is what I've been loving in the month of July! Whether you're a hair straightener lover or a curling wand lover, I strongly recommend using a heat protectant spray before styling your hair with any heat styling tool. 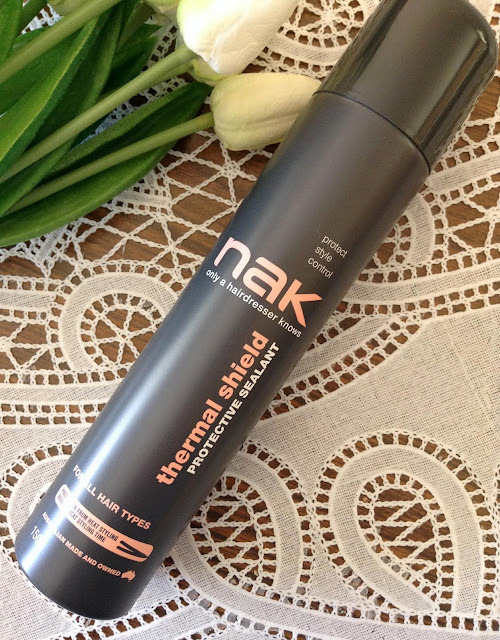 Not only will it help to combat frizz, it will create a barrier over the strands of your hair to protect it from those harsh temperatures that can damage your hair. The last thing you need to worry about is brittle, dry hair! 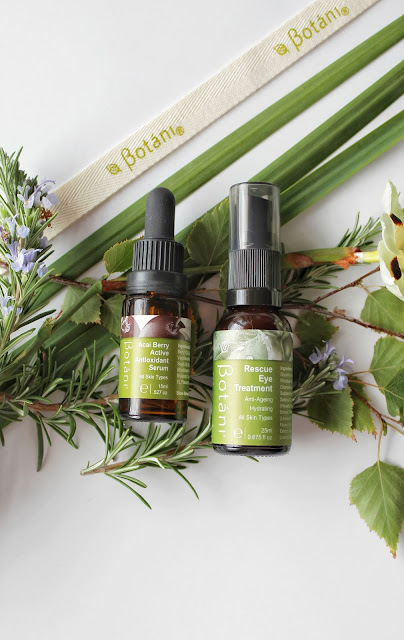 If you have skin like myself that is just frustrating to tame and no matter what you use, it continues being stubborn, I'd suggest trying a different approach to clearing your skin. 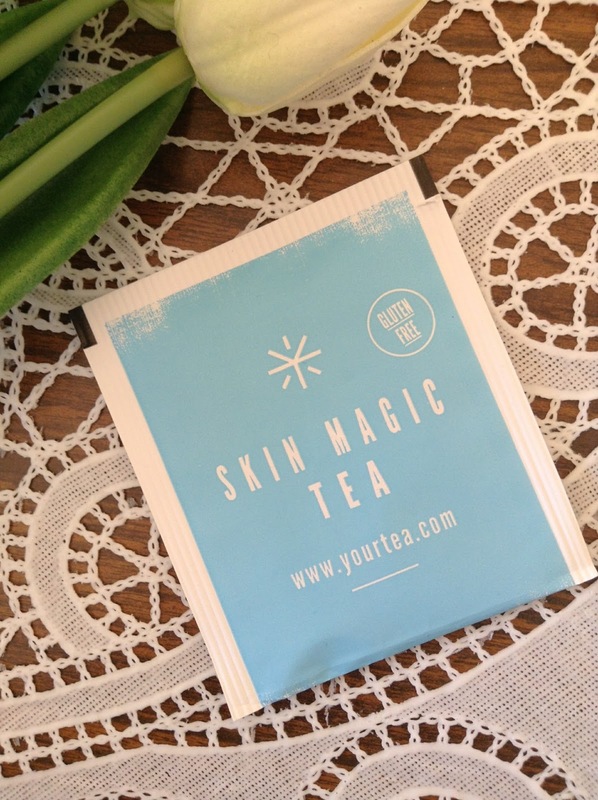 When I first discovered a blend of tea that claimed to assist in clearer skin, I was skeptical, I'll admit. However, after a couple of days I noticed improvement. The texture of my skin improved and it was smooth to touch. It calms down inflammation and gives you a clearer complexion. I was pleasantly surprised by the results this was giving me! I was drinking a different brand of skin clearing tea but it just wasn't giving me the results I needed so I'm very happy that I gave this one a try! It doesn't have a funky taste to it whatsoever, it's actually an enjoyable blend of tea to drink! They do sell out fast due to popularity so if you're looking to try a batch, get in quick! Having problematic skin and having such a fair skin tone, facial redness becomes my enemy! So, to help keep that under control I've been using First Aid Beauty's Anti-Redness Serum and I've been loving it! It contains aloe to soothe the skin, ginger that acts as an anti-inflammatory and caffeine to assist with shrinking the blood vessels. It's also free of parabens, harsh chemicals, colourants and it's safe for sensitive skin. 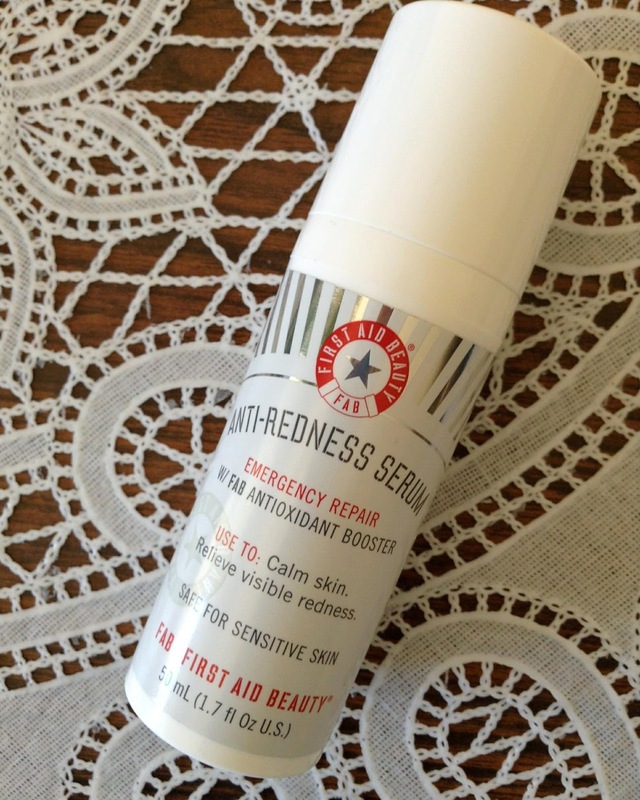 If you suffer from facial redness, this might just work for you too! 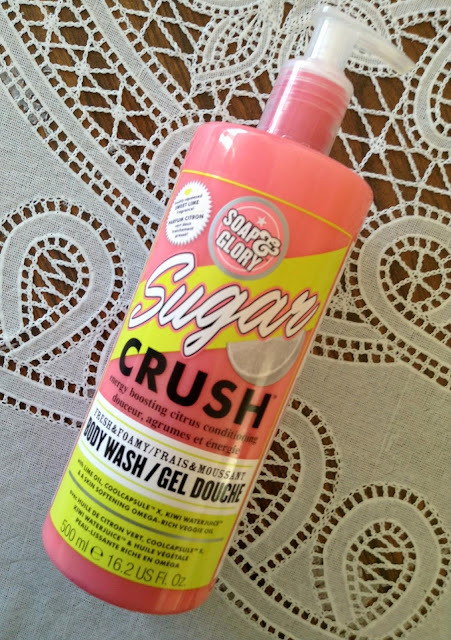 Another Soap & Glory product that I adore! The scent alone sold me! It smells like sherbet or like a citrus gelato! Other than the yummy scent, it's a really creamy body wash that leaves you feeling clean and refreshed. 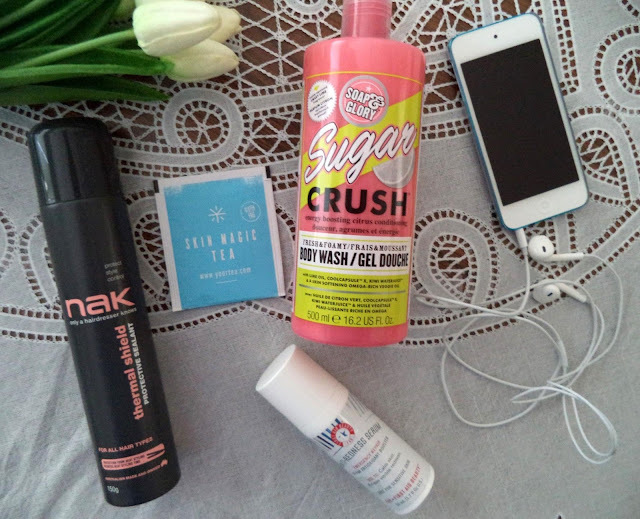 It's one of those products that makes you happy while using it because yummy scents just make you feel good! For many years I've been using the 4th generation iPod Touch which only held 8GB worth of music. So, whenever I wanted to add more music I had to make the space for it by removing songs. I was lucky enough to be given a 64GB iPod Touch as a birthday gift so now I can store thousands of songs! If you're interested in purchasing an iPod Touch for yourself, I think they're great! I've never had any issues with iPod's, they've never malfunctioned on me and they've lasted years without needing any repairs. I'd say they're a reliable product. They come in a wide range of colours and you can even get yours engraved too if you like! They are what I've been loving this month! 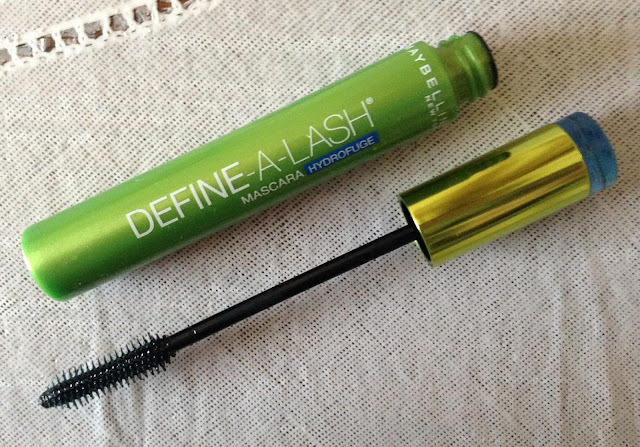 Have you tried any of the products featured? Let me know your thoughts in the comments below! Don't forget to like, follow and share, it would be much appreciated! If you're new to my blog, welcome, if you're a regular, thanks for reading! Every now and again, you should treat yourself to a little splurge. And that's exactly what I've done! So I'll be sharing my expenditures with all you lovely people! This palette holds 12 of their most iconic shades including the famous Kitten shade. It contains a variety of shades from light to dark and shimmery to matte to achieve whatever look you're going for, day or night. The packaging alone is absolutely stunning! The colours you see in the palette, is what you get, along with great pigmentation. 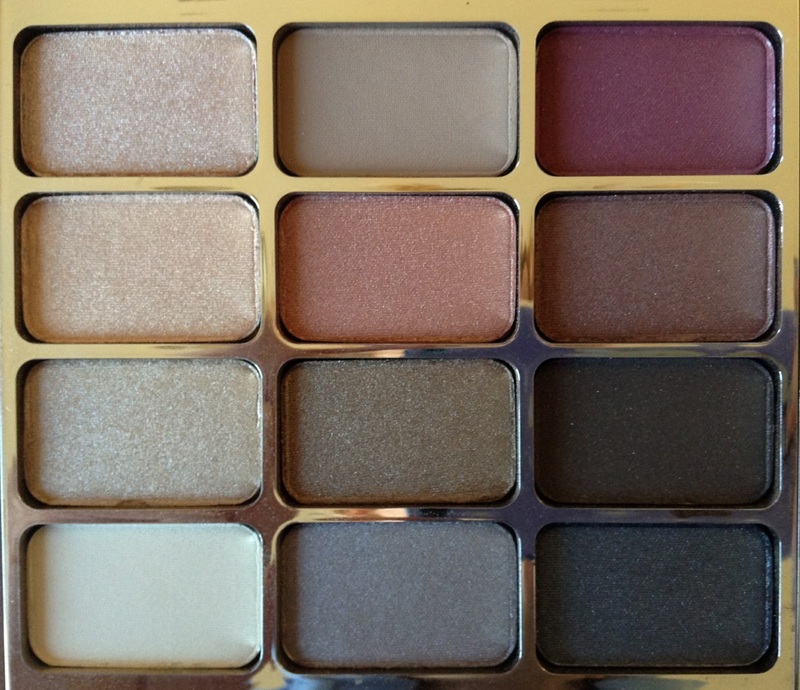 Stila's Eyes Are The Window Shadow Palettes come in four: Mind, Body, Spirit and Soul. 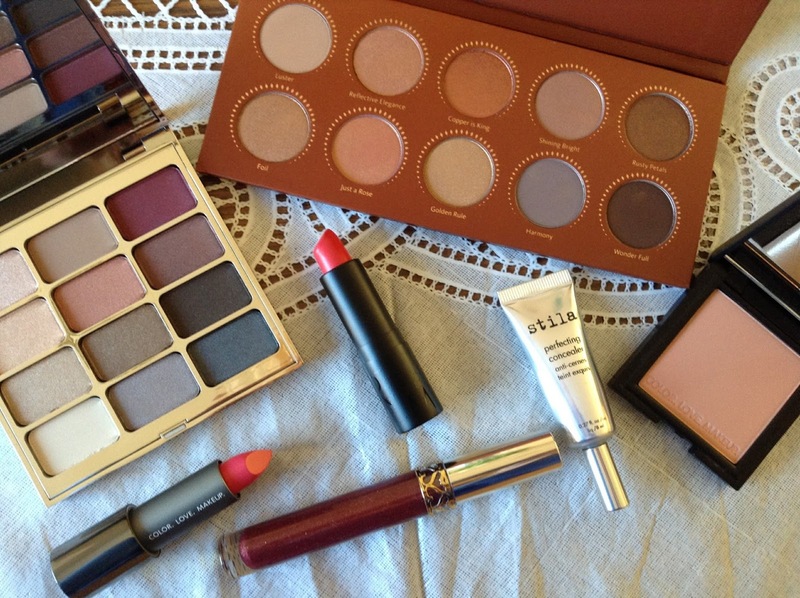 If you love Stila eye shadows, you'll definitely love their palettes just as much! A bright, fun colour for those warmer months. Would look beautiful on any skin tone. Packaging is just simple and sleek. 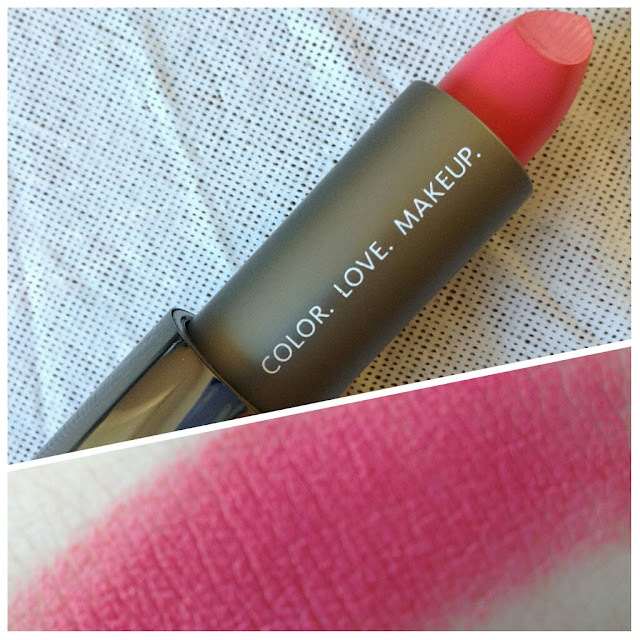 If you're not into pink lipstick, not to worry as they have other shades to choose from. 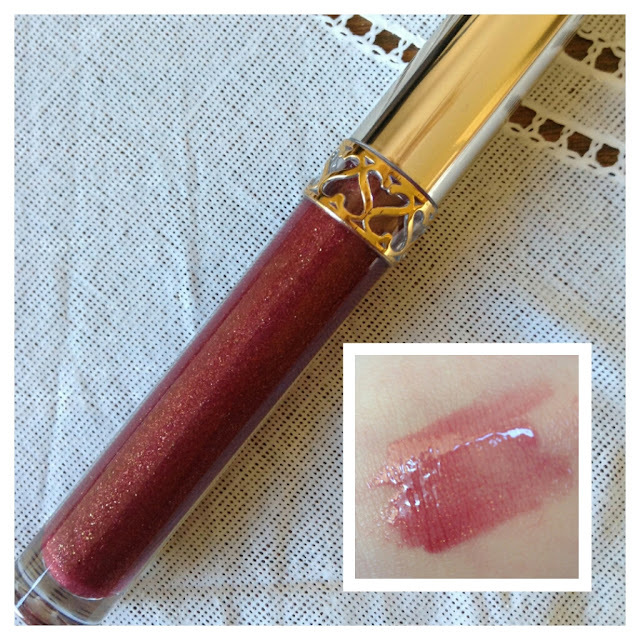 This shade of lip gloss would look amazing over a deep red lip. Perfect combination for a night out! It has a non-sticky formula so anyone who has a hard time in the wind trying to pick your hair off your lip gloss would know the struggle, but not this time! 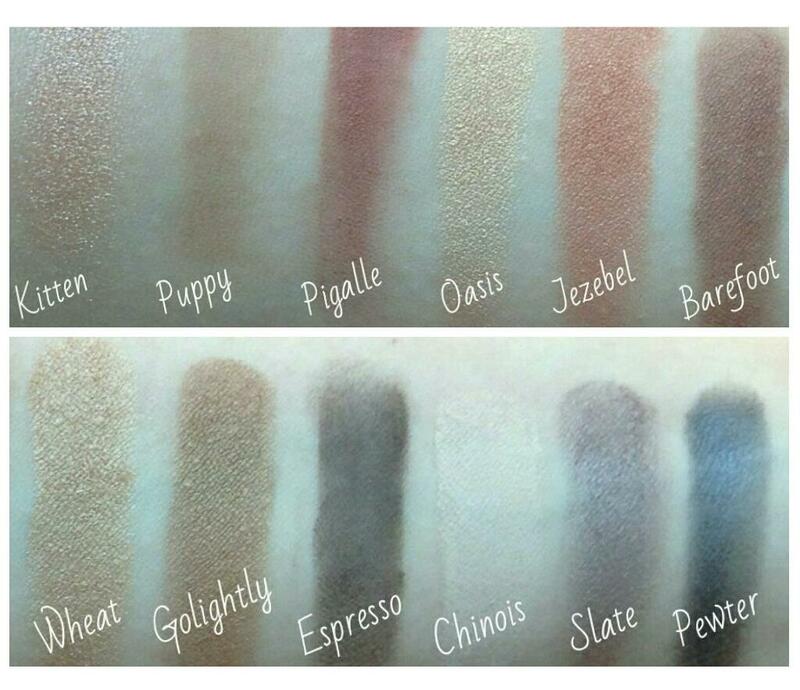 It's available in six shades including Garnet and they all contain shimmer, but a flattering kind of shimmer. 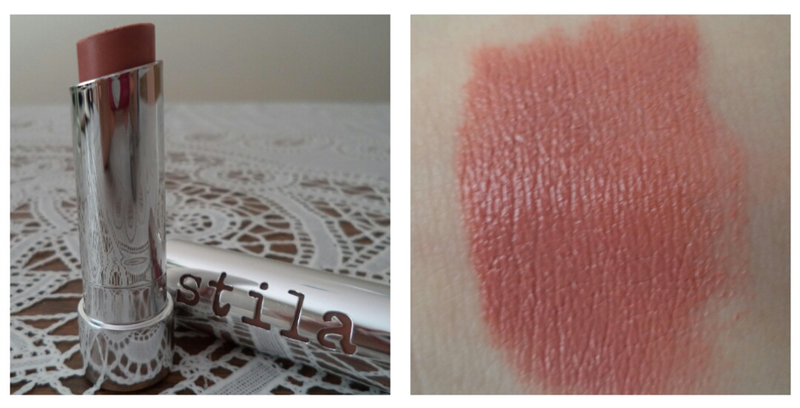 This shade of lipstick is great for school or if you're someone who likes to wear minimal makeup. 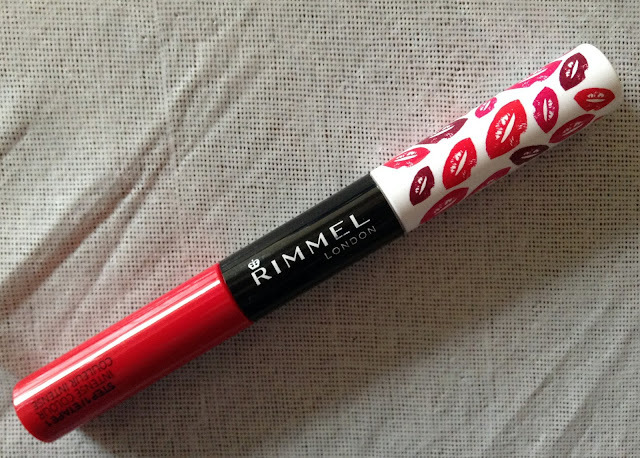 It just gives your lips a healthy red hue without looking too bold and heavy. Can be worn alone or pair it with your favourite lip gloss! I like to wear this on days when I'm going for the 'no makeup' look. It is quite sheer which is why I think it's perfect for day to day wear. 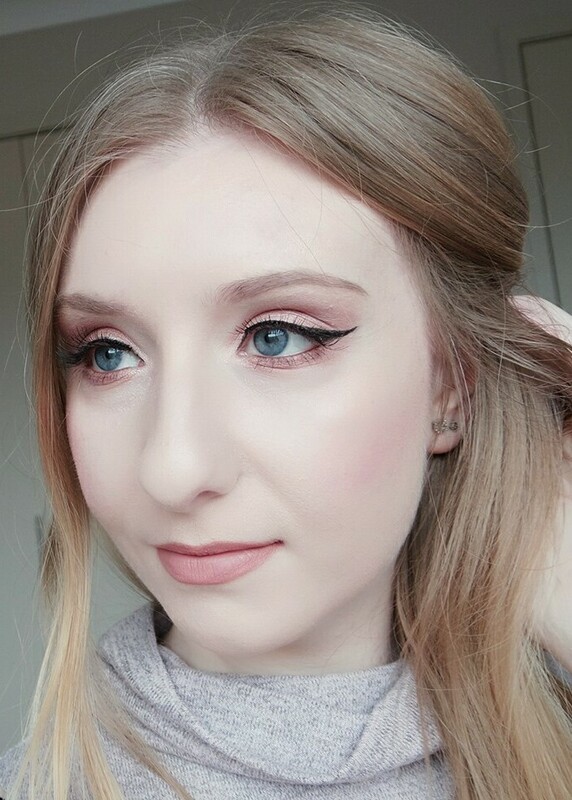 I love neutral toned eye shadows! 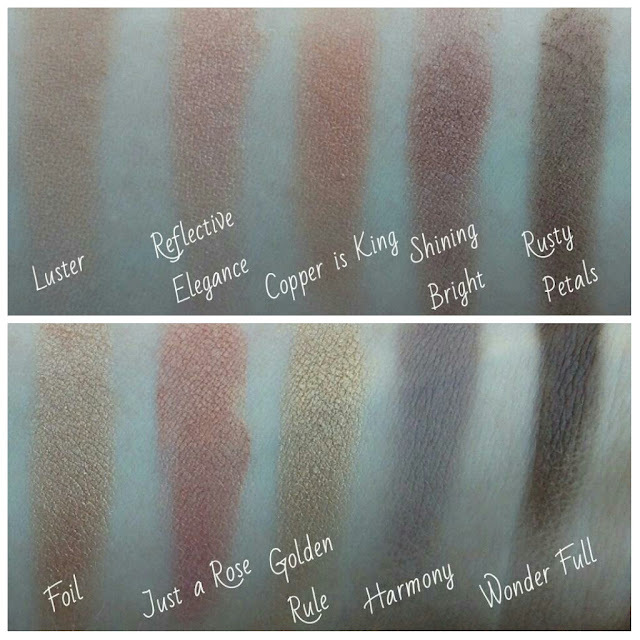 This palette is another great one with loads of shimmer to achieve the most feminine looks! The shades are very true to colour with good colour pay off. Easy to blend with little to no fall out. If you're looking for a full coverage concealer, this could be it! Available in 11 shades so you're bound to find the right shade for you. 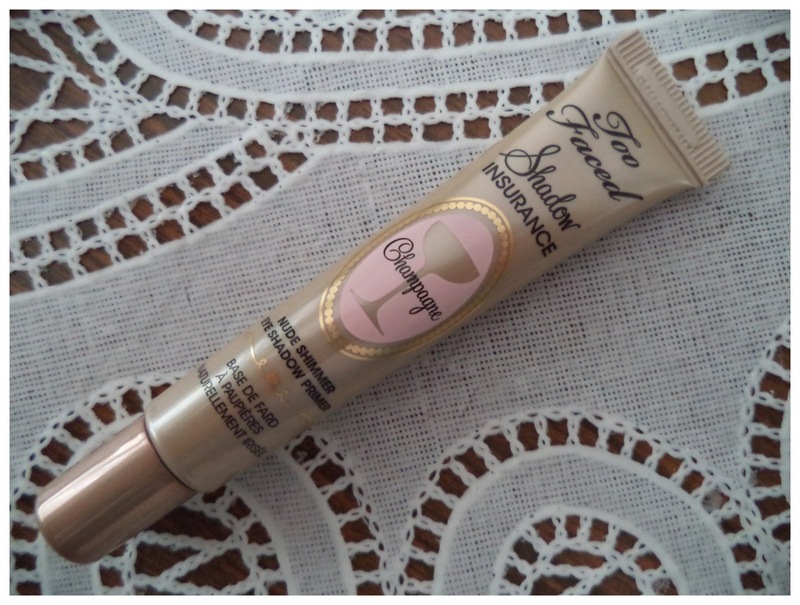 It covers under eye circles, redness and blemishes really well without creasing. 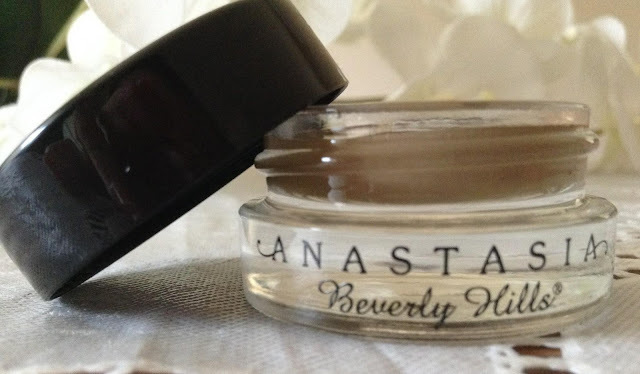 This does have quite a thick consistency so be sure to use a small amount because it's all you need. Applying too much may result in creasing so be careful! I find the best way to apply this concealer is with a beauty blender and just dab it on the areas that require attention. 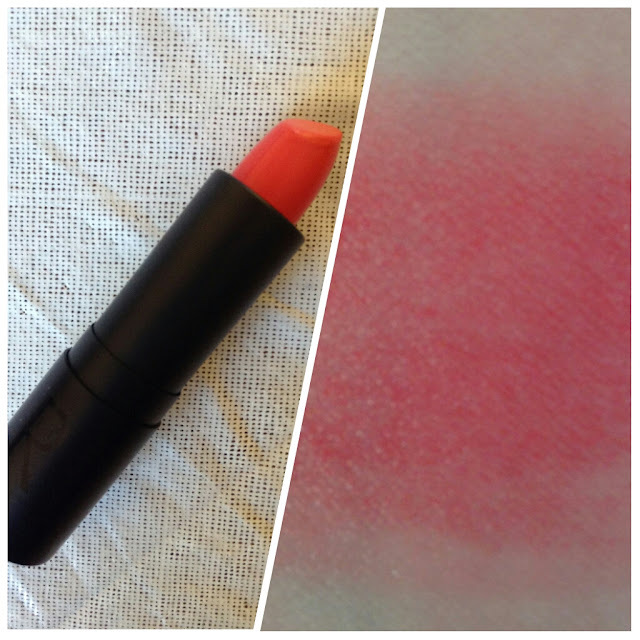 Quite a different shade of blush to add to your collection. I sometimes get tired of wearing a pink or red shade. A bit of variety is always nice! 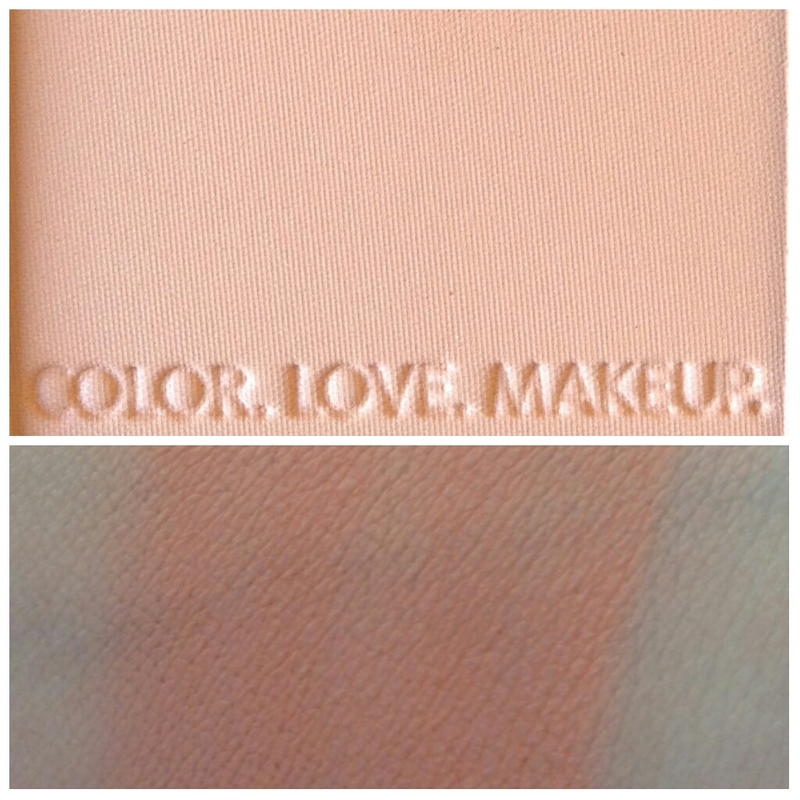 I'd say this a muted peach toned blush. Very beautiful and natural on the cheeks! 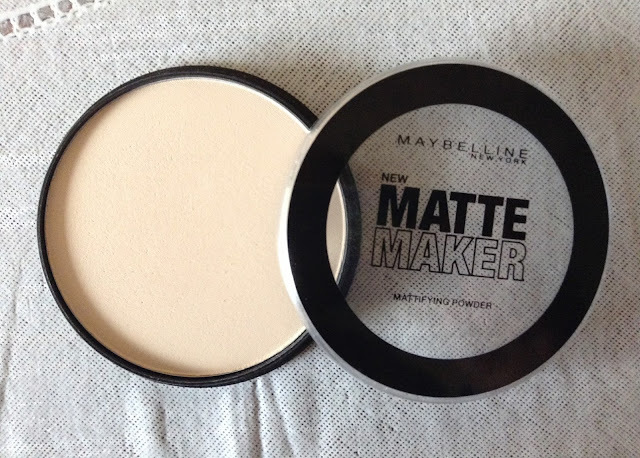 Pigmented as well so just lightly sweep it across your cheeks and you can always add more to your liking. 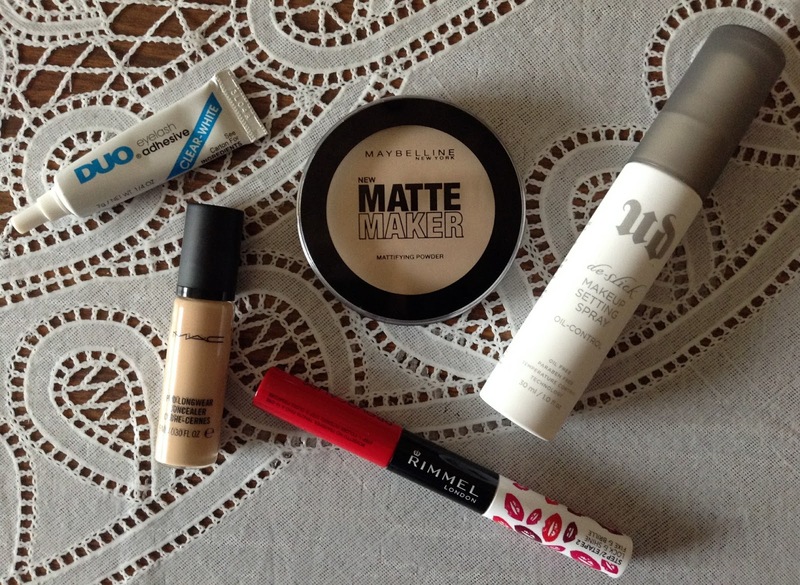 I hope you enjoyed my makeup haul! If you have any comments, just leave one down below. If you could like, follow and share, that would be wonderful! Another month has gone by so today I'll be sharing with you my June Favourites! This 18k gold-plated necklace is just perfection! 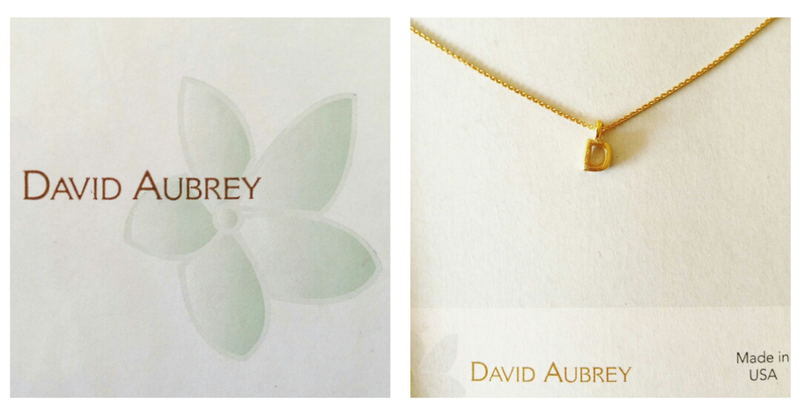 It's dainty, looks beautiful worn and you can choose from any letter of the alphabet from A-Z. They also have a range of different jewellery to suit your style whatever that may be. Great as a gift for any age! 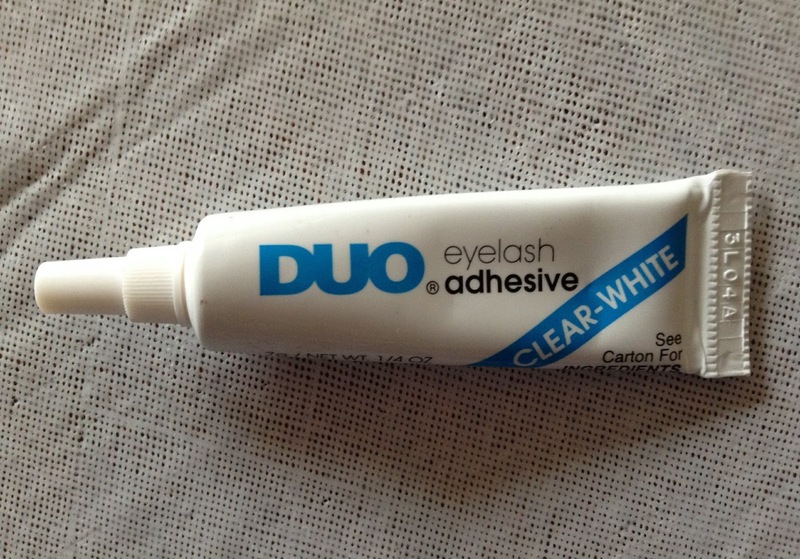 I was sceptical at first, until I used it a few times. It gave me real results! 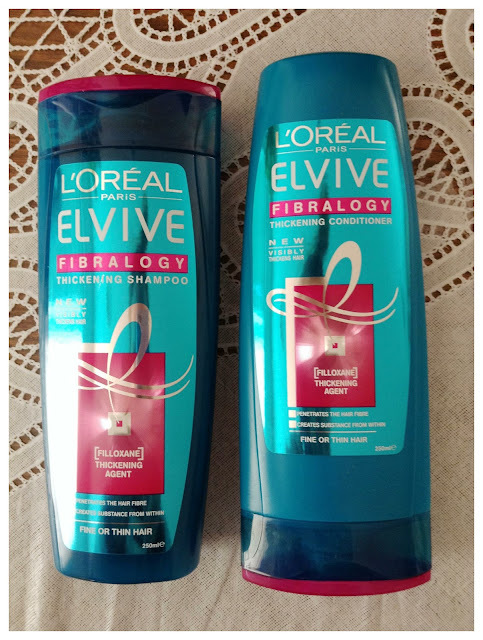 The look and feel of my hair was thicker and I have thin hair! Also, it's been voted product of the year by consumers so I say, give it a try! Being fair skinned, it's been a struggle to find that 'your lip colour but better' shade of lipstick that doesn't make me look like a zombie. However, Stila has made that happen with the shade Olivia. Very pigmented and tastes like peppermint! 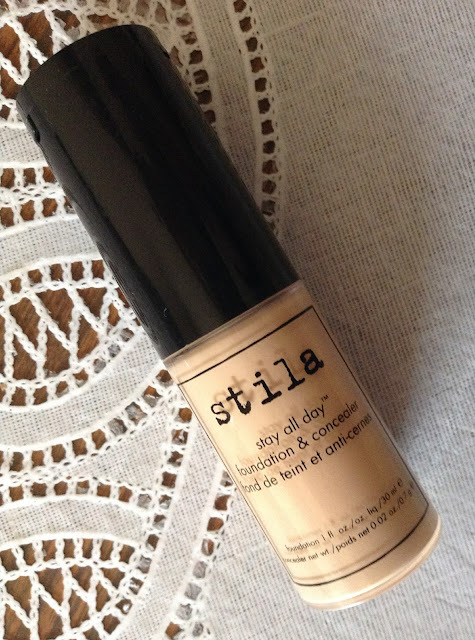 Having problematic skin, a foundation primer that assists in counteracting redness is just what I need. 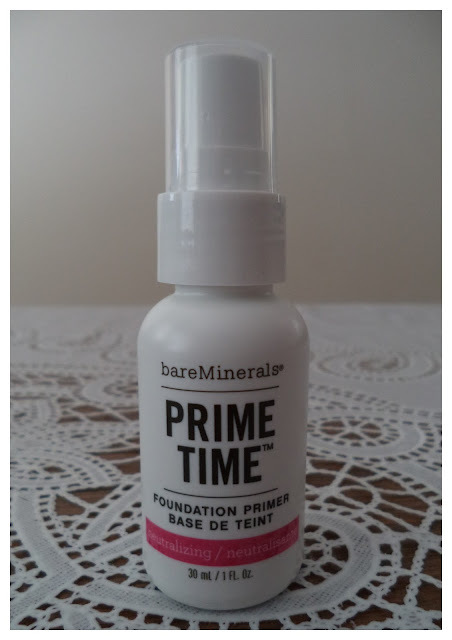 I've been enjoying Bare Mineral's Neutralising Primer for just that and it works well. 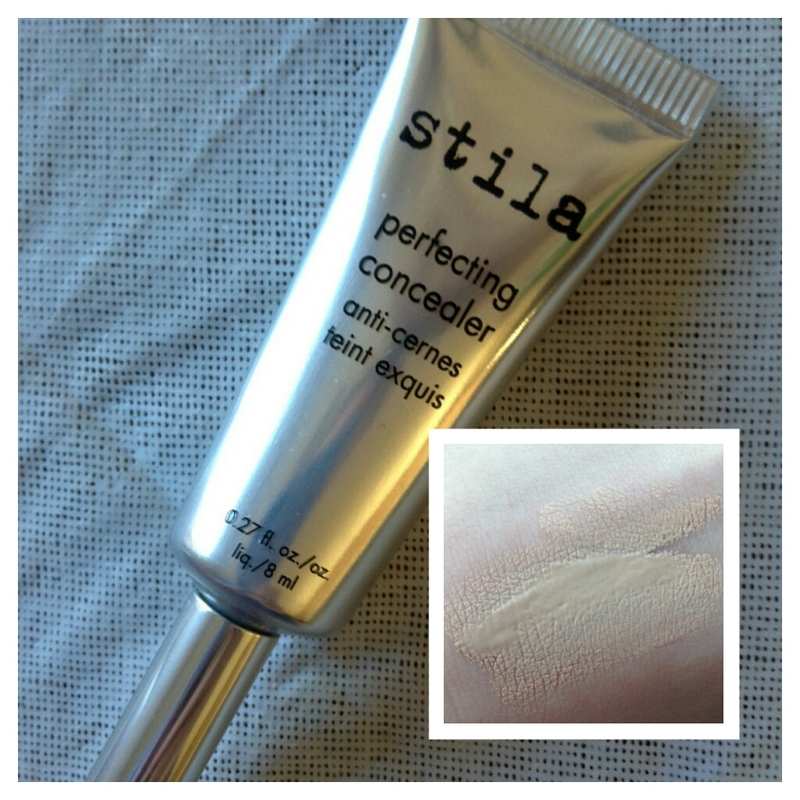 It evens out my skin tone which means not needing to use much concealer to hide that redness. 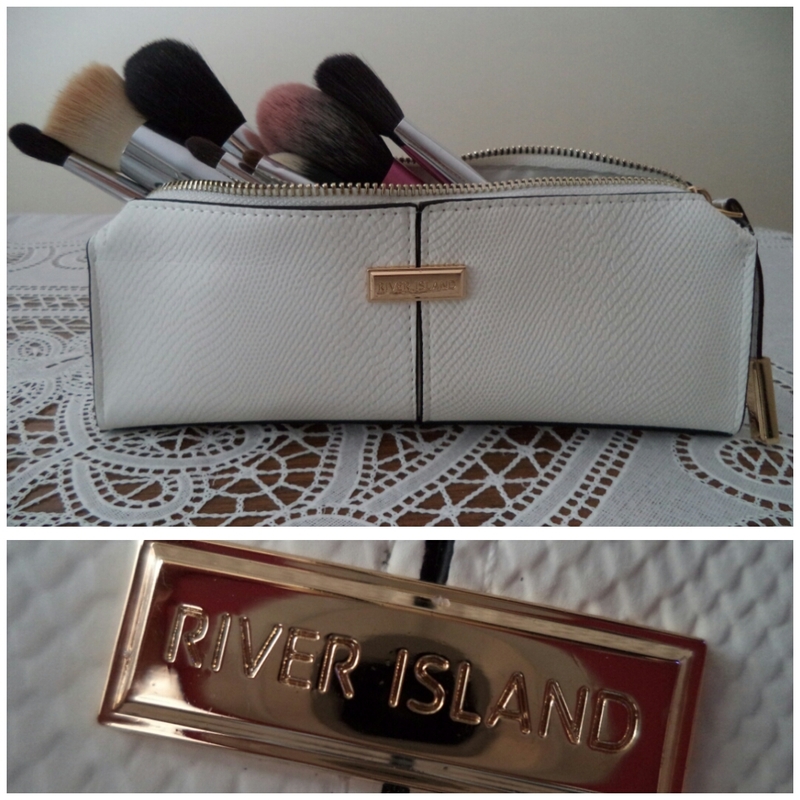 I got tired of my makeup brush roll as it was just overflowing with brushes so I thought it was time for an upgrade. It's not only stylish but it holds quite a few brushes and it's perfect for travelling so your brushes won't get damaged during transportation. So they are what I've been loving in the month of June so I hope you enjoyed the read! If you'd like to see a more in depth review of any of the products featured, let me know in the comments below and I'd be happy to do that for you!